Do you have a favorite pen? 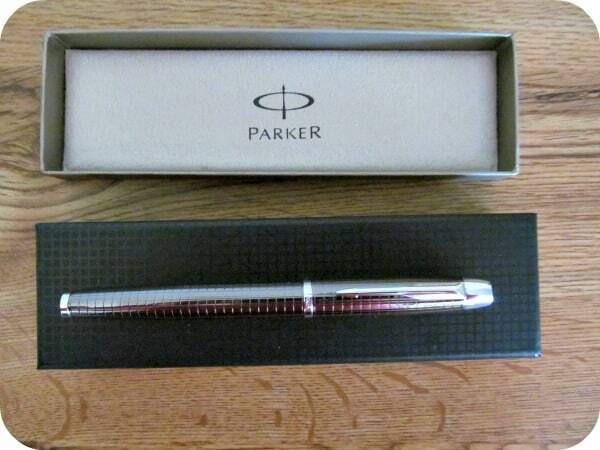 I am very “protective” of my Parker IM Pen because it is the ultimate in writing luxury. I keep this pen in my personal organizing binder and use it every day. It is stylish and modern with exceptional writing that makes it functional too! Parker IM Pens would be a great gift idea for everyone on your gift giving list, especially the boss or co-workers and don’t forget to pick up an extra one for yourself because I am confident that you will love it as much as I do. There are different styles to choose from and colours include black, metallic and pink. Depending on your preference you can select from models such as the fountain pen, roller ball or ballpoint. It even comes in a lovely gift box so it is ready to give to the lucky recipient. What makes Parker Pens so exceptional? I have found that it has really smooth-writing and is designed to be reliable and long-lasting. I love the stainless steel casing which gives it a lovely, luxurious feel when writing with it. I appreciate that the ink never skips or runs…..it writes beautifully! With price points to fit virtually every budget, Parker IM Pens are available for purchase from $18 to $80 at Staples and other retailers throughout Canada. You are invited to visit parkerpen.com to browse the entire selection of Parker Pens. Which one is your favorite in the Parker Pen Collection? I learned Parker has 9 newest collections. Hello. I really like the different styles of pens that Parker comes up with. I write poetry and this would be great to win to use when writing my poetry. Thanks for having this giveaway. I learned that Parker Pens come with a 2 year international warranty. they come with a nice 2yr warrnty! I learned that the newest line have the technology to adjust to the user’s writing style. I like the Sonnet slim pen in pink/gold. I love their cool pen designs! I really like the duofold, it has a really neat design and is unique! I love the Sonnet Pink-gold Fountain pen. Gorgeous! I found out that they have a good warranty plan! I learned they are very international and I noticed they have a choice with trendy finishes! I learned that they come with a 2 year warranty! I learned that each pen has a 2 year international warranty. Awesome! The series features a unique vertical pattern, which is “a modern interpretation of Parker’s iconic chiseling”. I love the Duofold Demi fountain pen. There’s nothing in the world that makes you feel like a *real* writer, than using a fountain pen. Elegant. 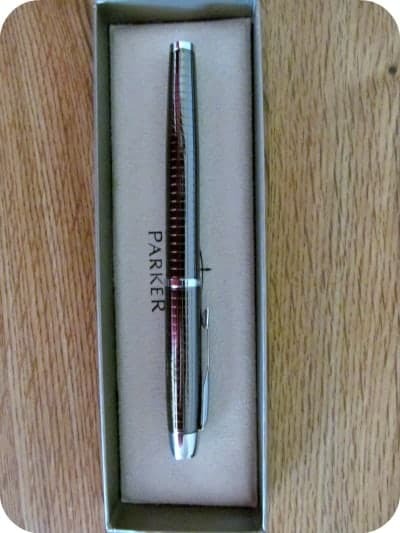 It Would Be Great To Win The Parker IM Pen. In Response To Your Requirement To Visit Parker Pens and tell you something i liked or learned.